This safe was taken out of a Pawn shop and had to be drilled open and then repaired before it could be painted. 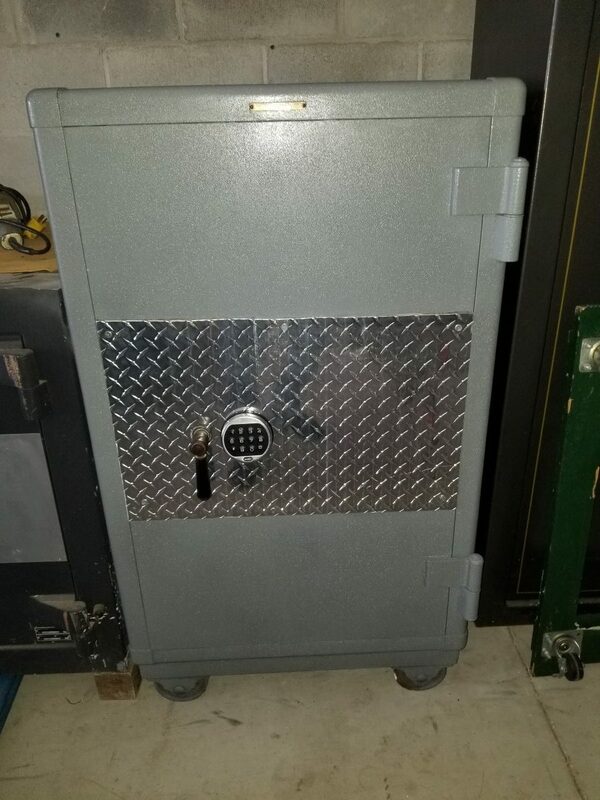 Originally fitted with a mechanical lock, this Mosler safe was customized and is now fitted with a nice electronic lock. 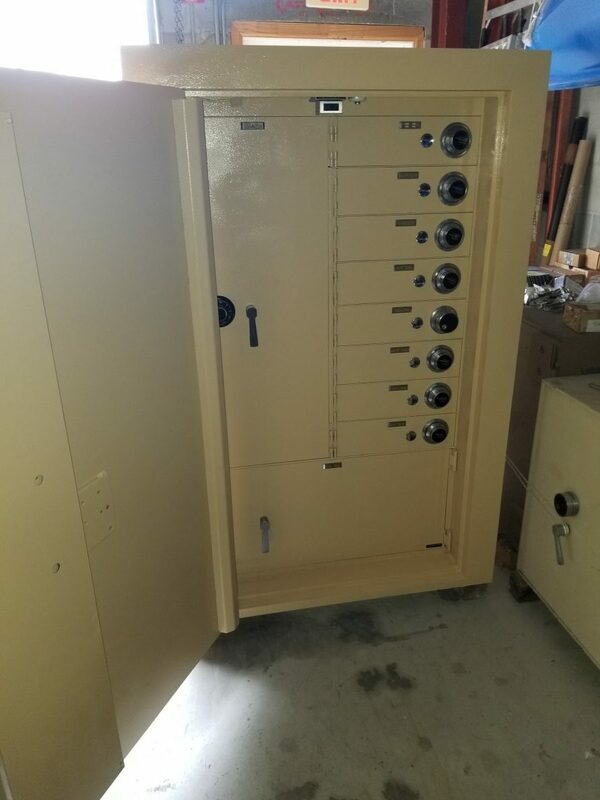 After I painted it I put a speckle finish similar to what Hayman puts on some of their safes, and then a nice clear coat on top of that. For a fee we can paint any of our used safes in our inventory before we deliver it to your residence. 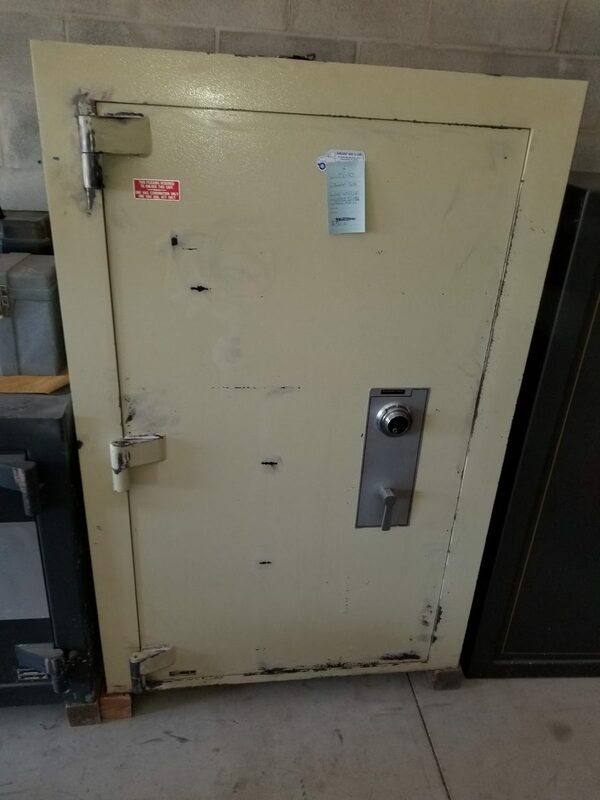 This safe was originally owned by a bank then given to a church. 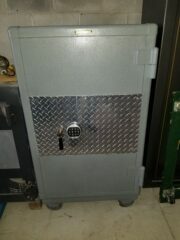 Before that it might have been owned by a jeweler because it is a jeweler type safe. 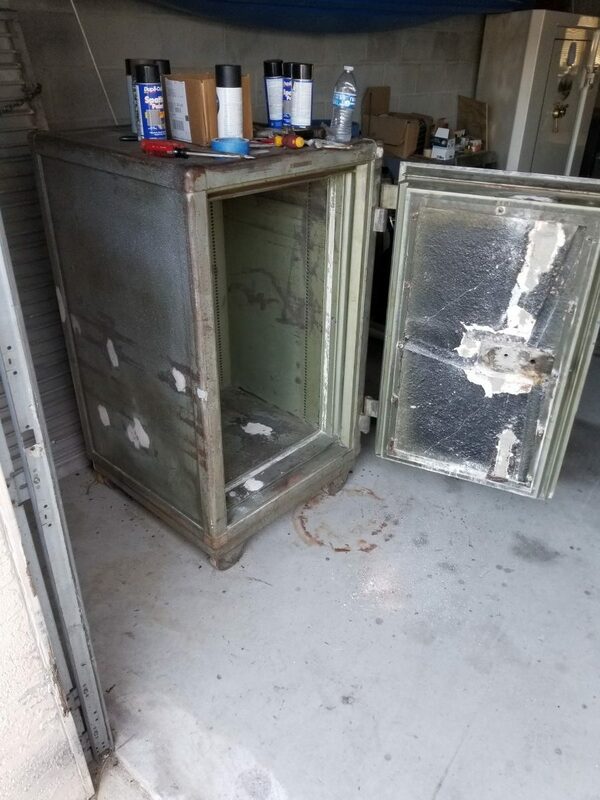 When the church got rid of it and we picked it up the paint job was terrible. 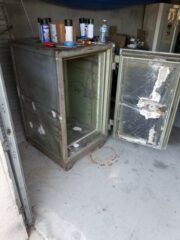 i cleaned off all the paint that was chipping, filled in some spots with Bond-O and then painted the outside and interior of the safe. 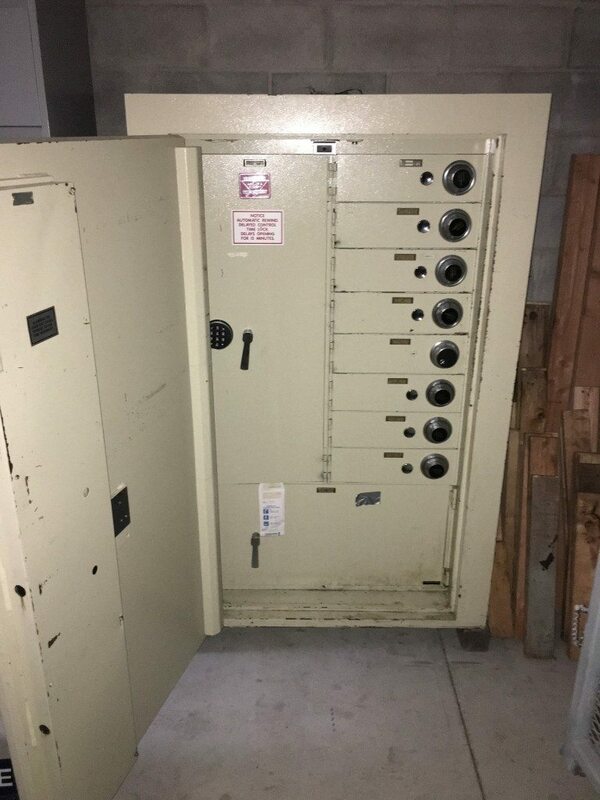 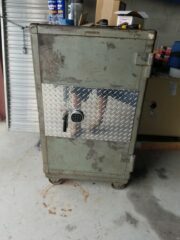 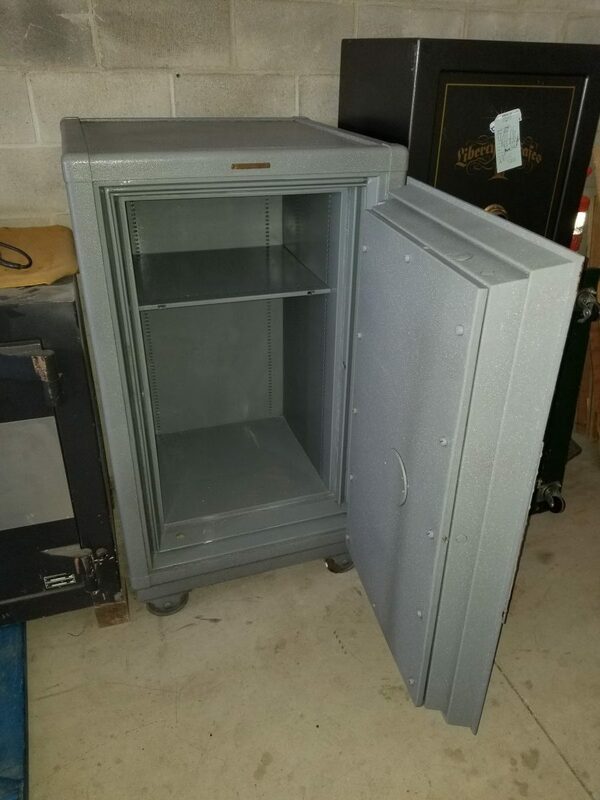 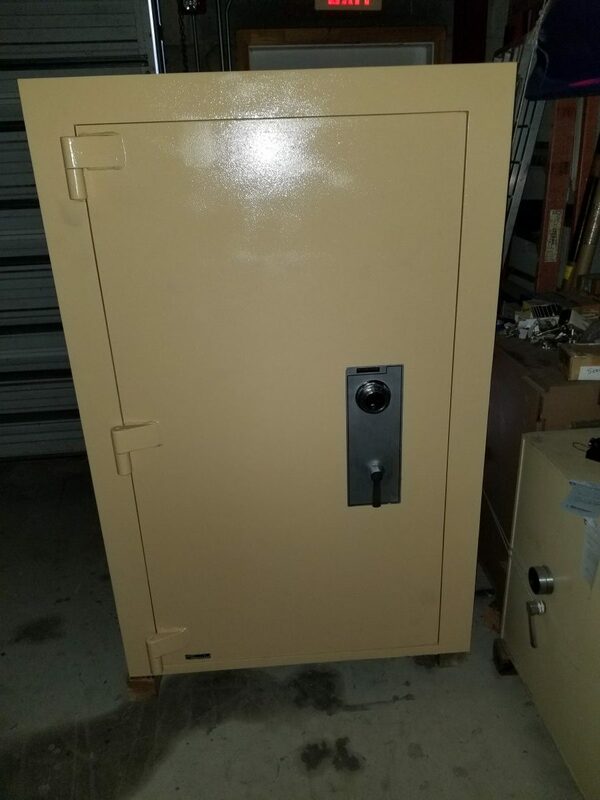 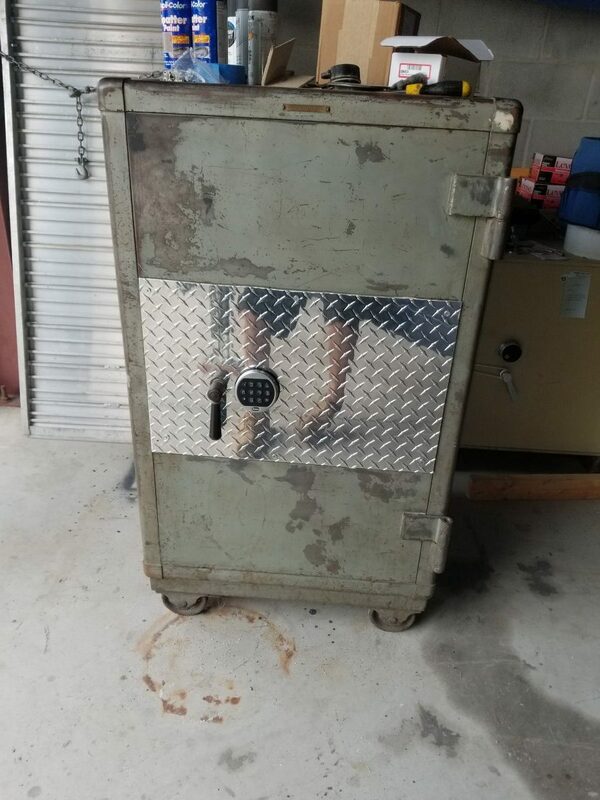 This safe is no longer for sale but is an example of the kind of job we can do if you’d like a used safe from our inventory, but want it to look nicer than it is currently.